Weidmüller OMNIMATE® Power BUF 10.16 provides a safer and more efficient device connection for power electronics. The PUSH-IN connection technology and the wire-ready function speed up conductor connection. 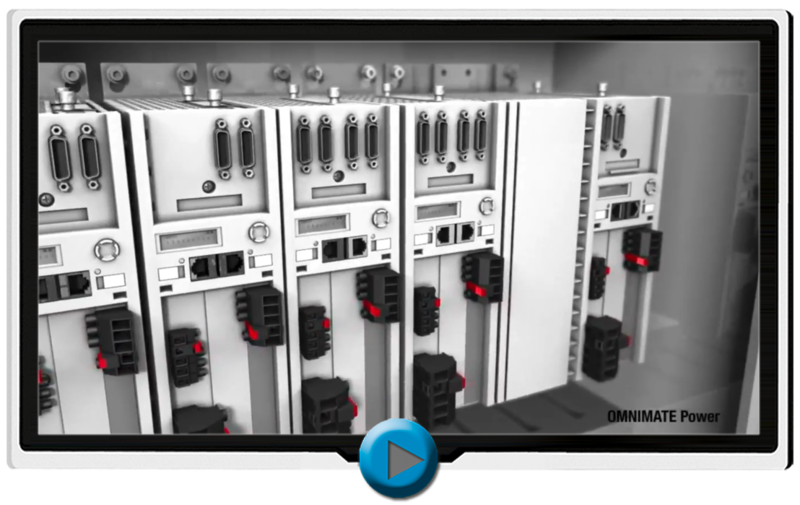 The current trends in power electronics: Maximum performance capability combined with greater efficiency. The devices have to be convincing, both from their technical and economic performance. They also have to combine high functionality with simple operation - this is particularly important for the wire connection. This needs to be performed safely and efficiently. All of this has a direct influence on device connectivity. 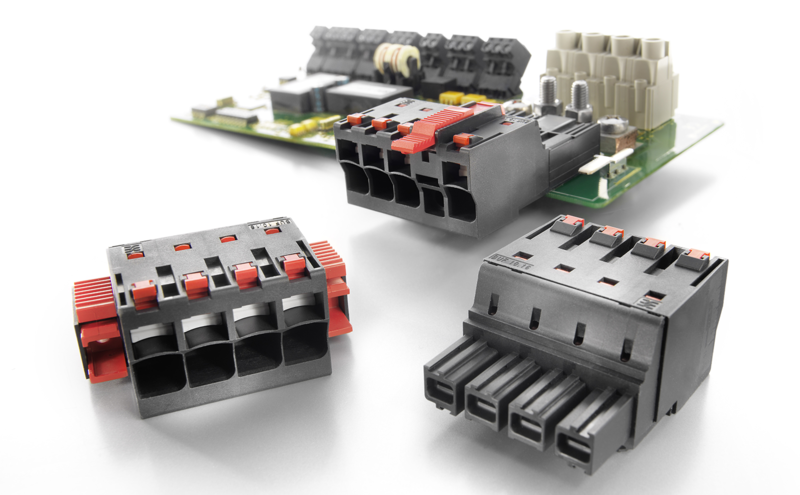 As a made-to-measure solution, Weidmüller offers its OMNIMATE Power BUF 10.16 PCB plug-in connectors with PUSH IN connection system and wire-ready function. The well-dimensioned PUSH IN connection system is equipped with a settable operating lever (pusher) to create an open contact point, i.e. wire-ready. This contact system achieves a considerable time saving in wire connection. 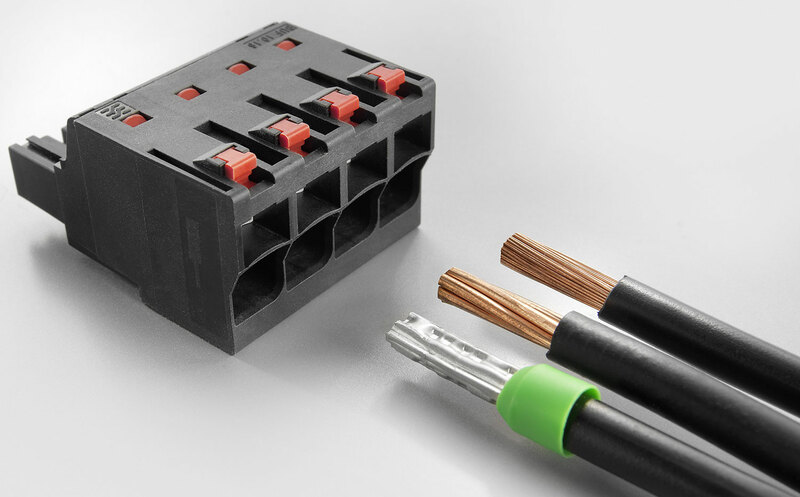 The open wire-ready contact point simplifies the connection of stranded wires without wire-end ferrules and wires with particularly rigid insulation, which are often inflexible. The PUSH IN contact is closed after plugging the wire into the contact point by releasing the locking clasp. When using cables without wire-end ferrules or with a small cross-section, the settable pusher is also advantageous. It keeps the contact point open after activation, which enables the technician easy and convenient handling of conductors with short stripped off cable sheath or stiff insulation. The convenient PUSH IN function is retained with this innovative contact system; moreover, the settable contact point allows trouble-free connection even under adverse conditions. In simple terms: The wire-ready connection replaces the third hand or other tools in fiddly installation situations.